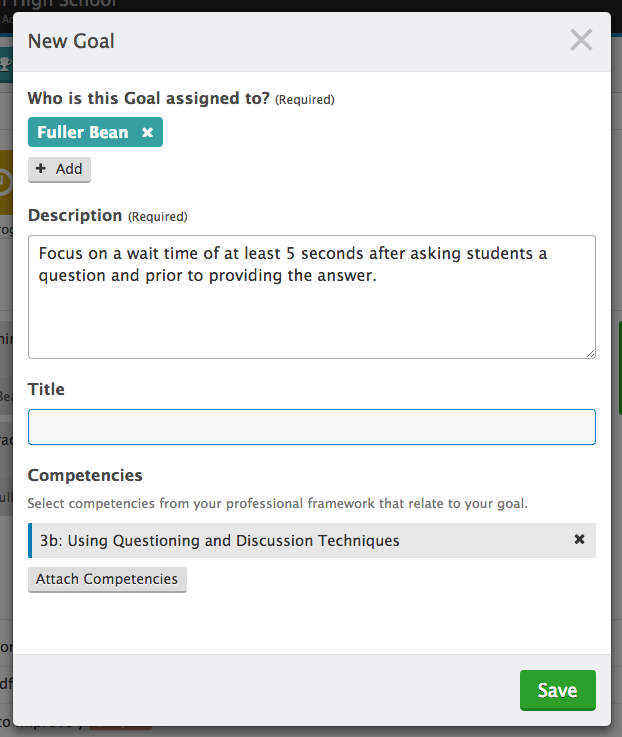 After reviewing the TeachBoost user profile and Competency Insights, and the high-performance instructional conversations have begun, it's time to set teacher-specific goals and actionable next steps for achieving them. For example, the above image shows three specific goals for a teacher, aligned to components of the framework. The goal tied to 3B: Questioning and Discussion Techniques was created once Fuller Bean and his coach identified an area of the framework where Fuller could grow as an educator. Luckily for them, TeachBoost makes it easy for admins and teachers to add, track, and monitor goals within the platform. Now every time the teacher logs into Teachboost, they’ll see their current goals right on their dashboard and know where to focus their efforts in the classroom. Any major goal typically is comprised of multiple benchmarks, or "next steps". Next Steps are actionable items assigned by observers or teachers to help break down a goal into smaller, more manageable items. Returning to Fuller Bean’s goal, you can see that the teacher and coach have identified three actionable items to help Fuller on his way to completing his goal. They might have linked resources, or a due date associated with them, but all Next Steps can be checked off once they are met. This helps both teacher and coach track progress toward goal completion. "Through the "Next Steps" tool, coaches/administrators can clearly align improvement measures to the teaching rubric for the teacher to follow. 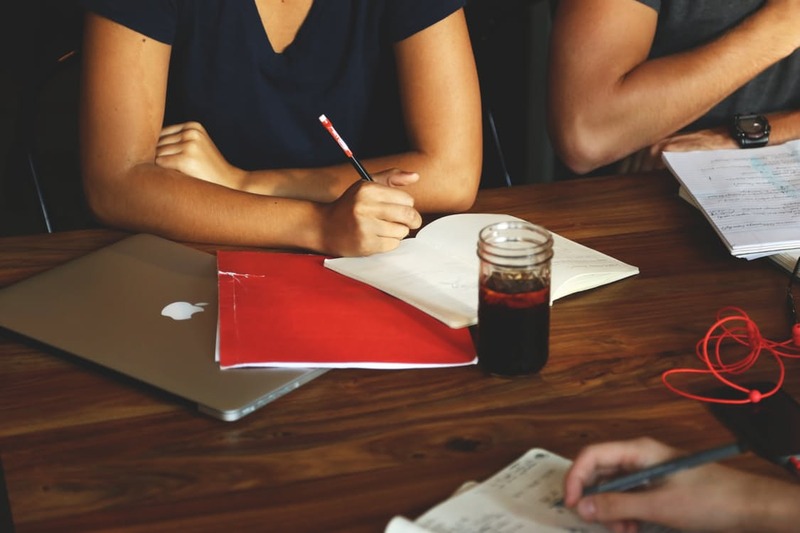 Those next steps can be dated, observed in a follow up, and discussed in a debrief. It's a continuous measure that helps ensure teachers are always working with a growth mindset," says Tanisha Manningham, Principal of Denby High School at the Education Achievement Authority of Michigan (EAA). Analyze evidence about each educator. Focus on high-performance instructional conversations. Set goals tailored to an individual's needs and growth. Communicate next steps and clear action plans aligned to teacher goals. If you have your own best practices or would like to share how you prep for mid-year reviews, please share—we'd love to hear from you!